Yannis Caloghirou, Nicholas S. Vonortas, Stavros Ioannides, "European Collaboration in Research and Development: Business Strategy and Public Policy"
The last twenty years have witnessed a tremendous increase in industrial collaboration in research and development (R&D) both in Europe and the world at large. Firms have increasingly opted for collaboration in an effort to deal with the uncertainties that stem from rising research costs, rapid technological change and the development of a network economy. Governments have been quick to support this trend in order to promote competitiveness and, in the European context, to foster cohesion. 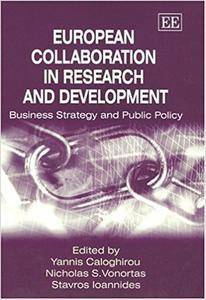 The contributions collected in this volume focus explicitly on cooperative R&D in Europe. The first part of the book offers empirical evidence on the extent, scope and direction of this collaboration and explores the motives and problems of the participating firms, as well as the perceived benefits they have enjoyed. The second part deals with the difficult policy issues that diverse national R&D regimes create for successful cooperative research and international convergence. The extensive survey results of European firms allow the authors to compare collaborative research policies in various EU countries and contrast the policy design that has emerged in the EU with that of the USA. 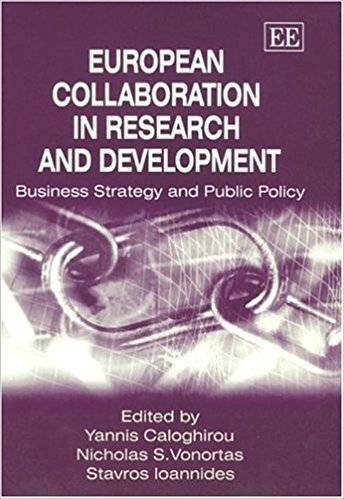 This book offers the most comprehensive account of collaborative industrial research in Europe and explores both the business strategies that have motivated it and the public policies that have promoted it. Academics, graduate students, government agencies and European institutions involved in science and technology policy and R&D management will find this volume to be invaluable. It will also be of great practical use to companies interested in forming strategic technical alliances.